Have you heard of lash conditioners? Commercial serums work to strengthen and enhance your lashes and brows, making them shinier and fuller looking. And, no surprise, they can be super pricey! Also not a surprise, you can make a super-easy version at home with just two ingredients. Summer is the perfect time to condition your lashes because mascara in hot weather is a hot mess. Before you know it, mascara melts into the not-so-awesome raccoon look. 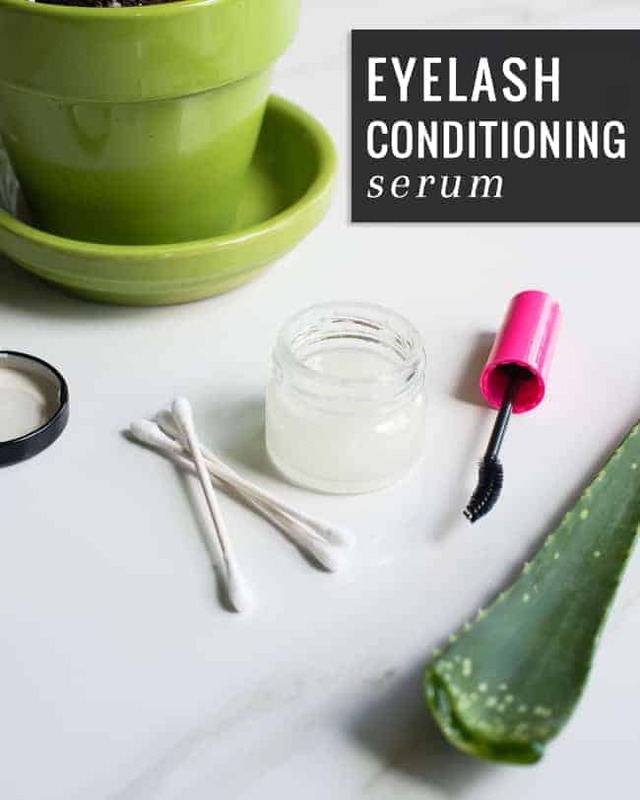 Eyelash conditioner makes lashes feel thicker – no mascara necessary! You only need two natural ingredients – aloe vera and castor oil. Castor oil sounds a bit scary, but don’t worry, people have been using it on their hair and skin since biblical times. The fatty acids and vitamin E in castor oil strengthen the lash root and stimulate growth. And while you’re getting longer lashes that fall out less, the aloe vera conditions lashes to reduce breakage. Use daily and you’ll see improvement in 2-4 weeks. 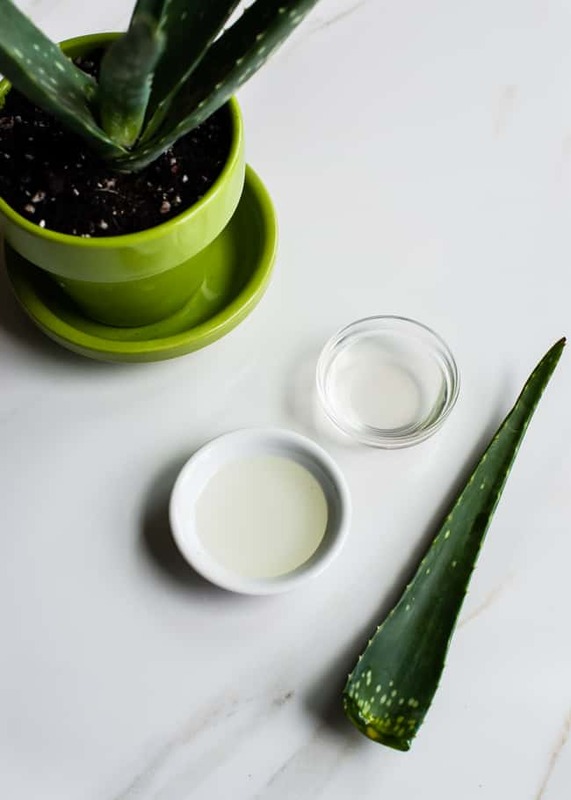 Combine castor oil and aloe vera in a small container with lid. Shake to combine before each use. 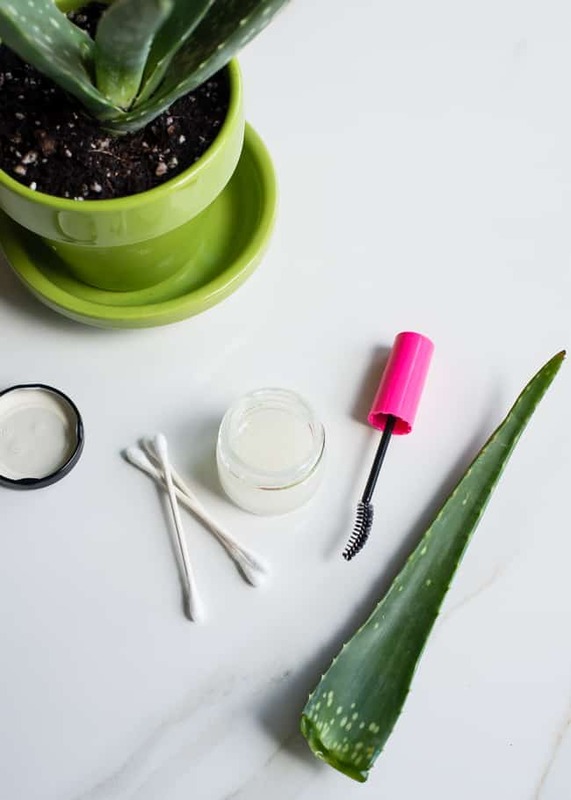 Apply nightly to lashes with Q-tip or mascara wand. a long time and yours is the greatest I have came upon till now. How should I store the conditioning? Would this work on brows?I have knwn castor oil to simulate growth on my brows. Started growing aloe very specifically for this purpose! Didn’t know about the castor oil though! Thanks! About how long does it store? I’ve actually been using castor oil to take off my eye makeup. I’ll definitely give this recipe a try! Just be aware some people are sensitive to aloe vera. Also, castor oil is nice as a makeup remover! I don’t have any gel so do you think pure aloe juice would work just as well? (Ha! I’m a poet and don’t know it!) I have a bottle of Lakewood Organic fresh pressed pure aloe.